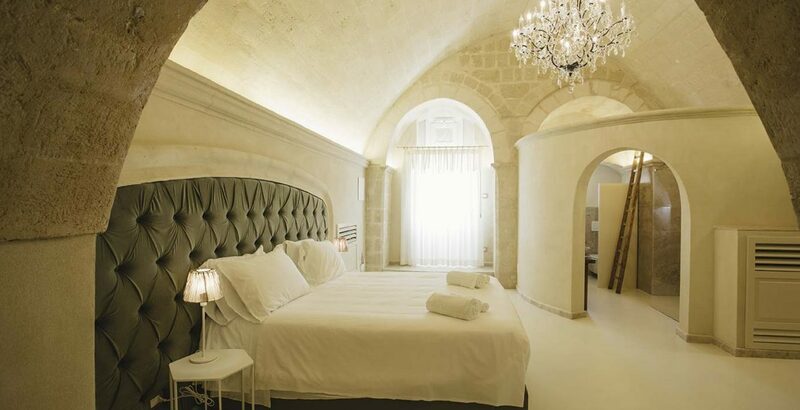 Beautifully furnished with his arched entry way,this suite will charm you with its classic imprint. 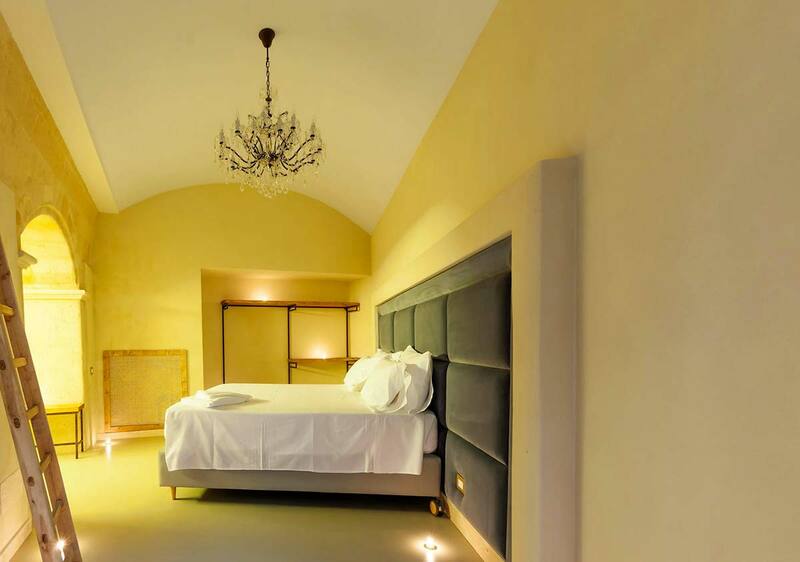 A comfortable double bed with wide velvet boiserie, the 55 ” TV and the mini bar blend in with the classic ambience. 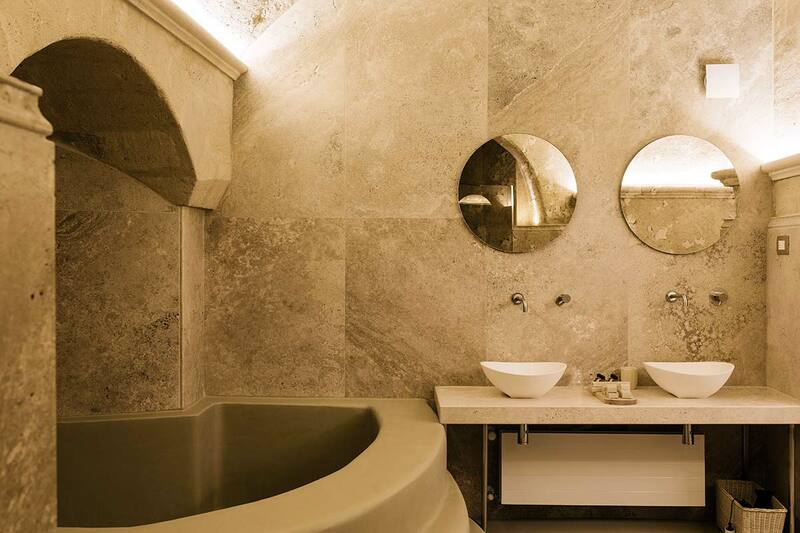 The bathroom is complely covered in refined marble. 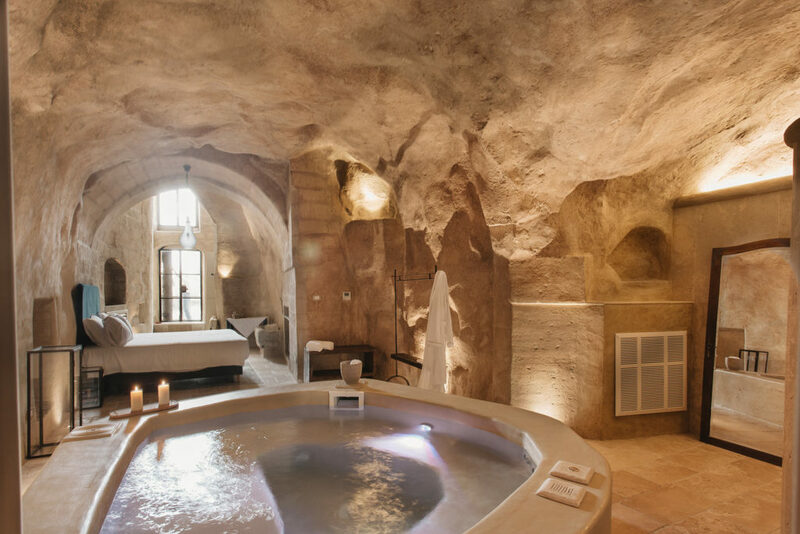 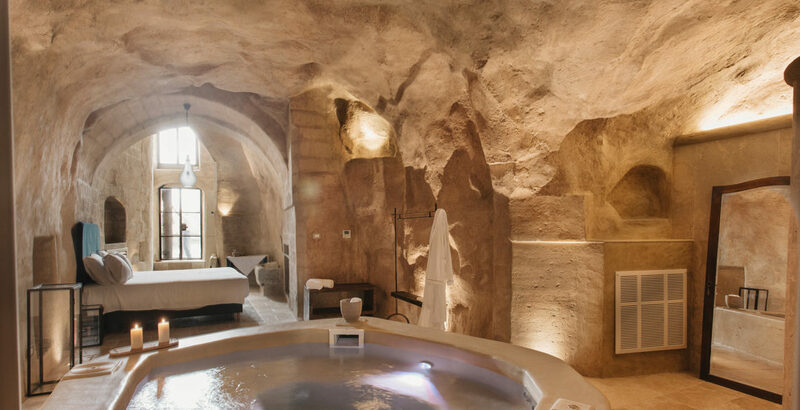 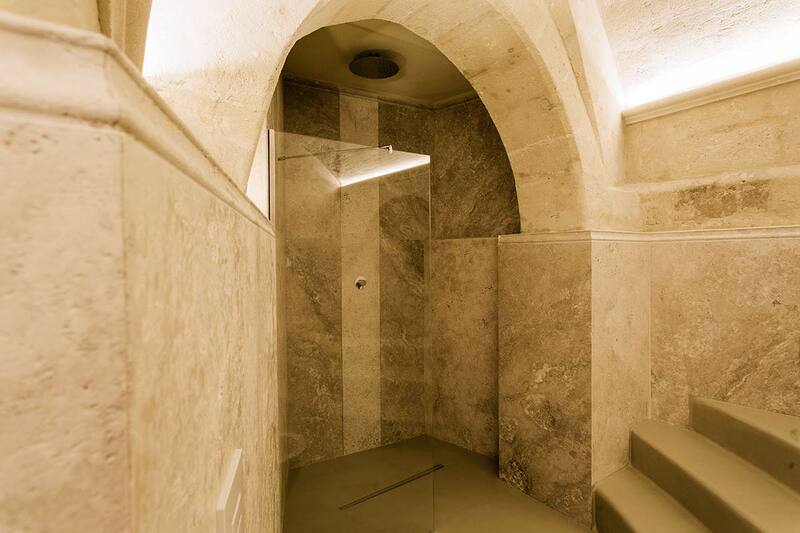 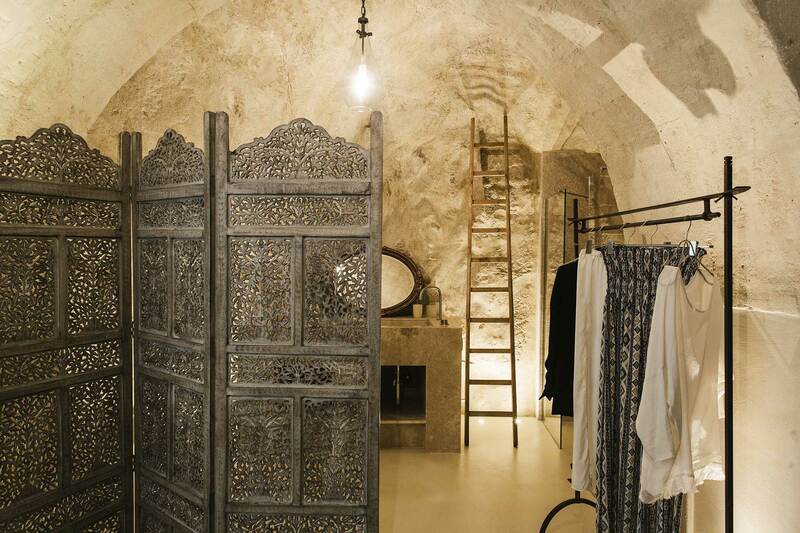 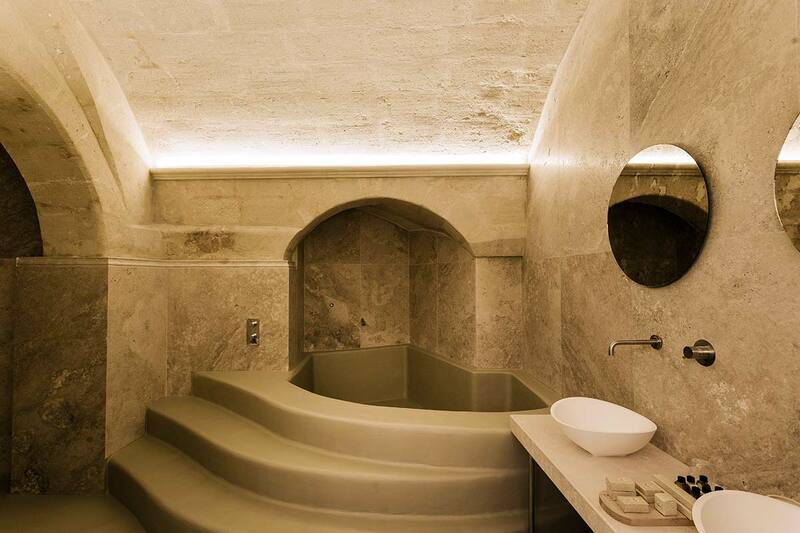 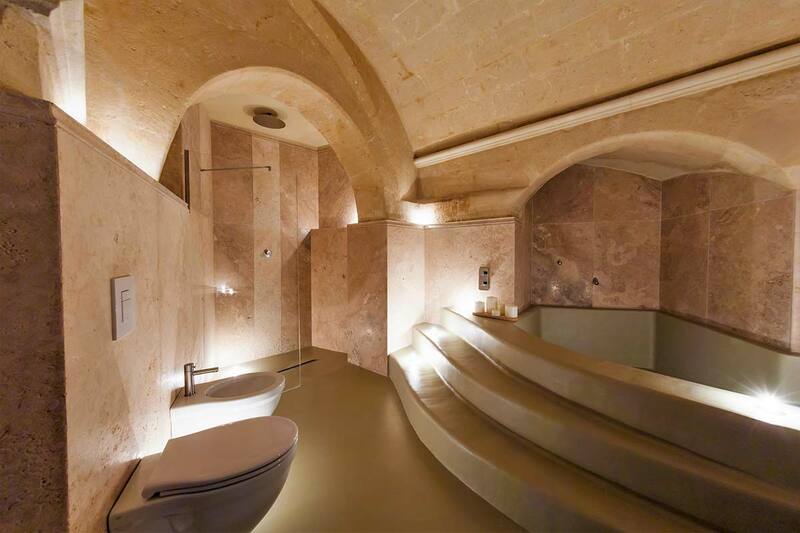 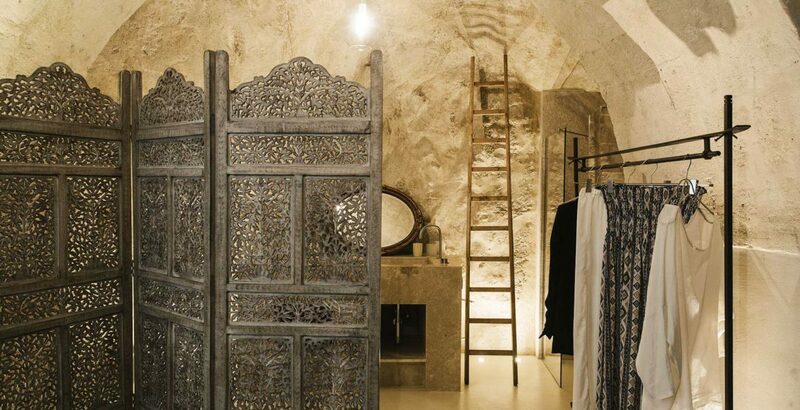 The absolute peculiarities of Matinelle suite are the large raised tub in masonry and the shower created inside the natural cave, which make the environment intimate and particularly romantic. 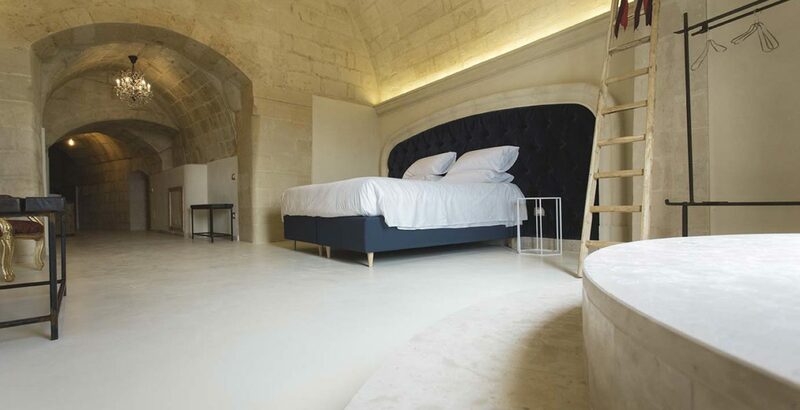 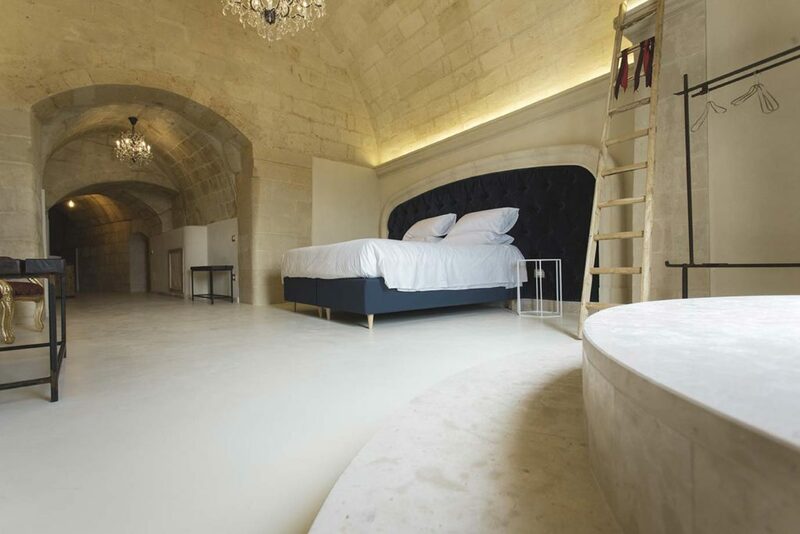 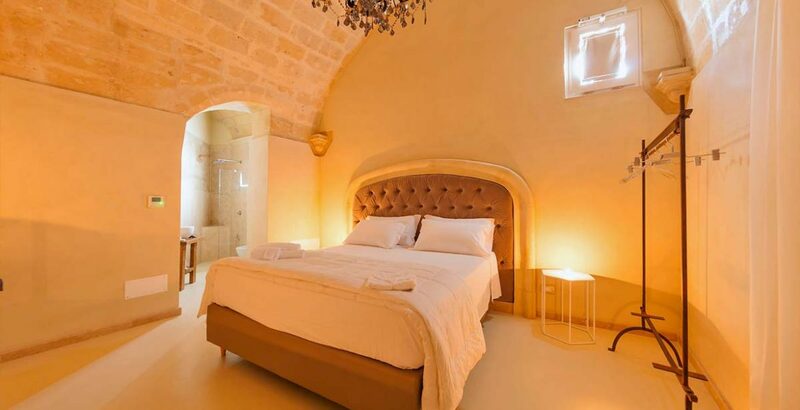 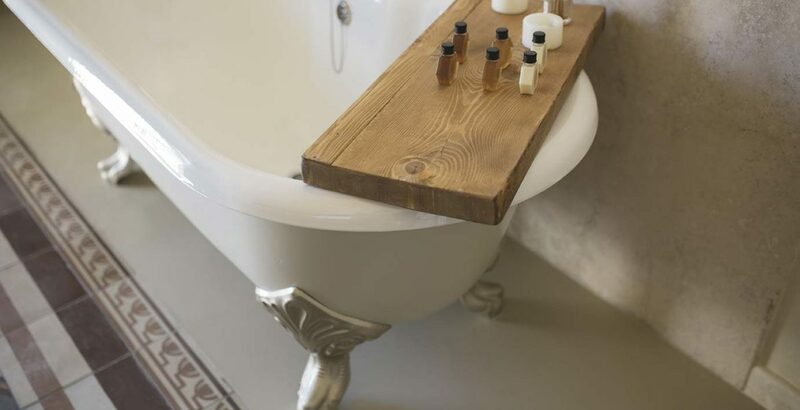 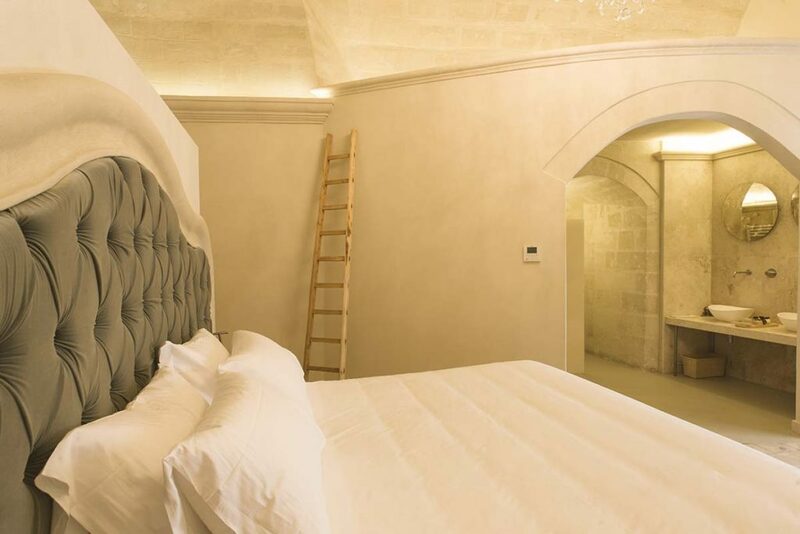 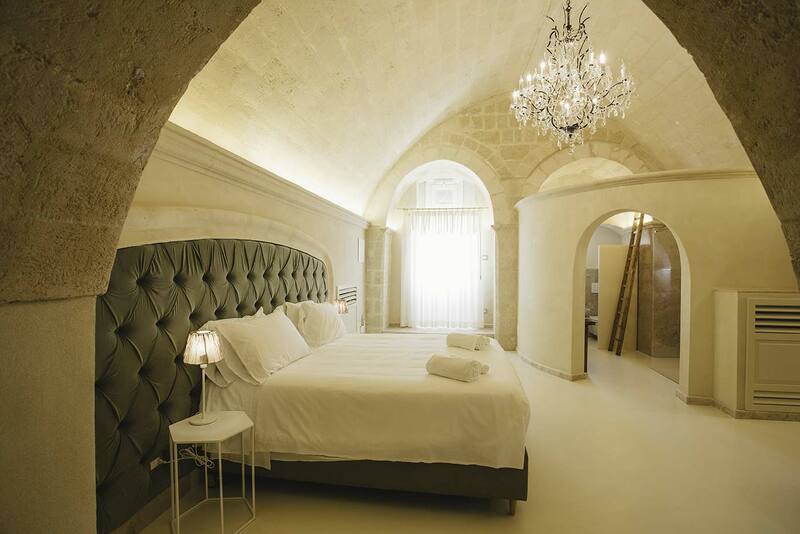 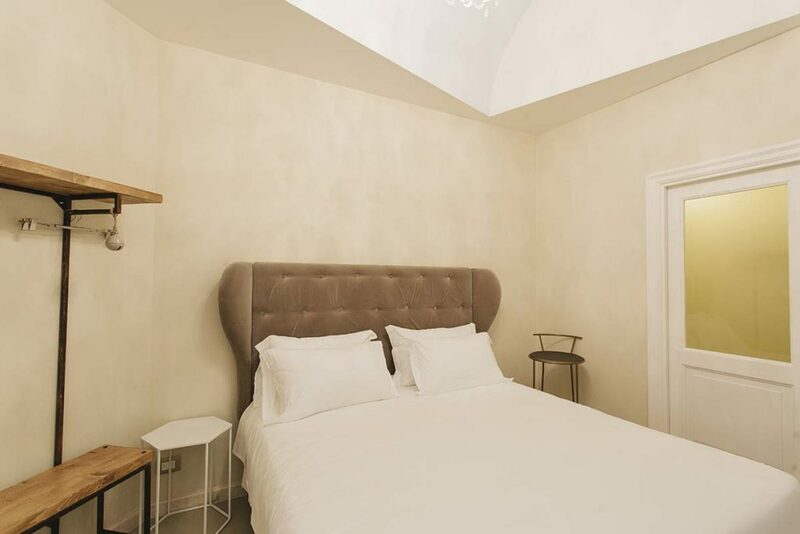 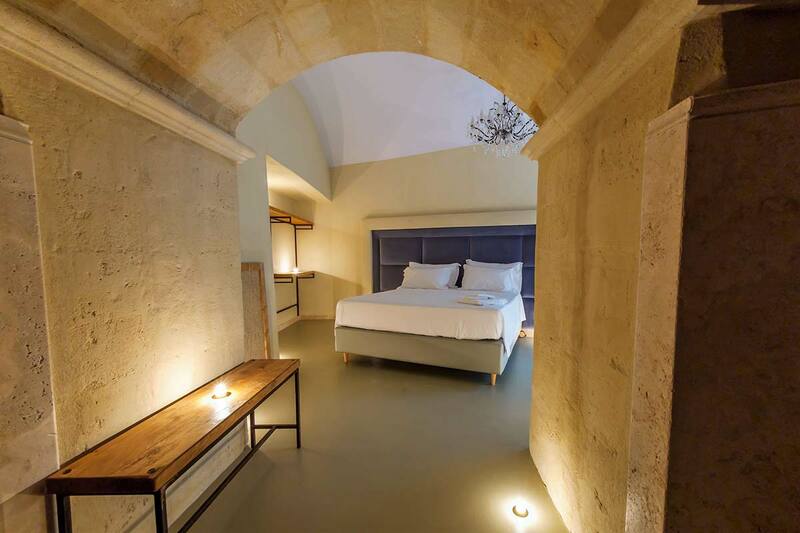 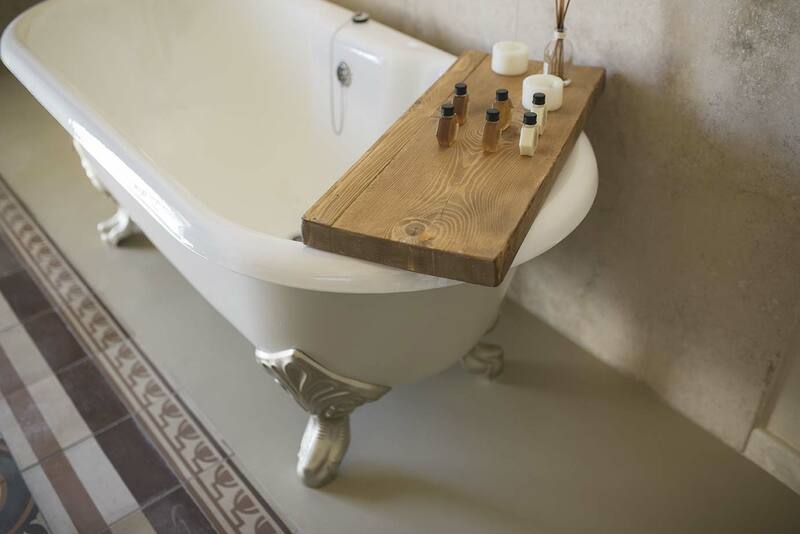 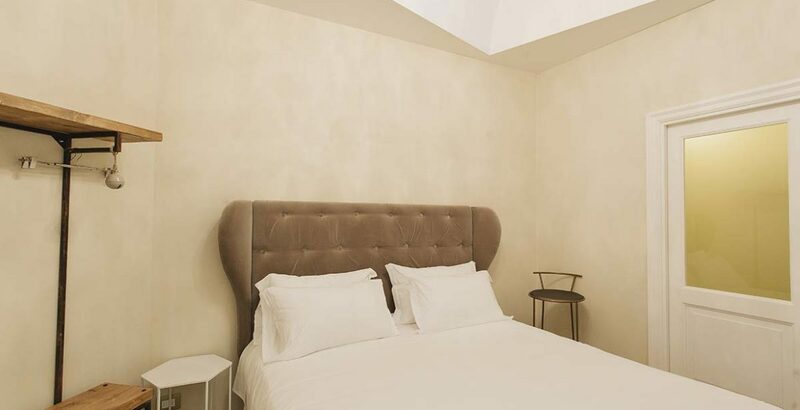 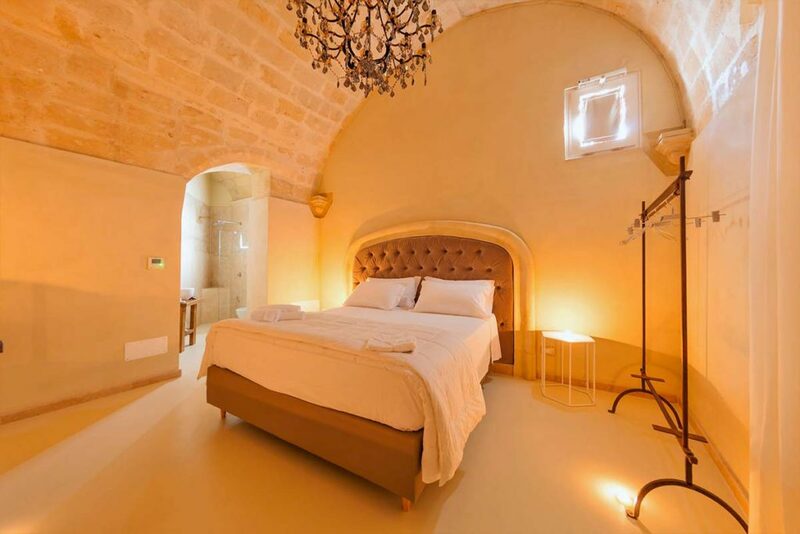 This Deluxe Junior Suite is located on the first floor and is accessible through an outside gallery with views of the Sassi and the mystic Gravina.